M1869 .45 Caliber Schofield Single Action Revolver. Non-firing, full-action replica. 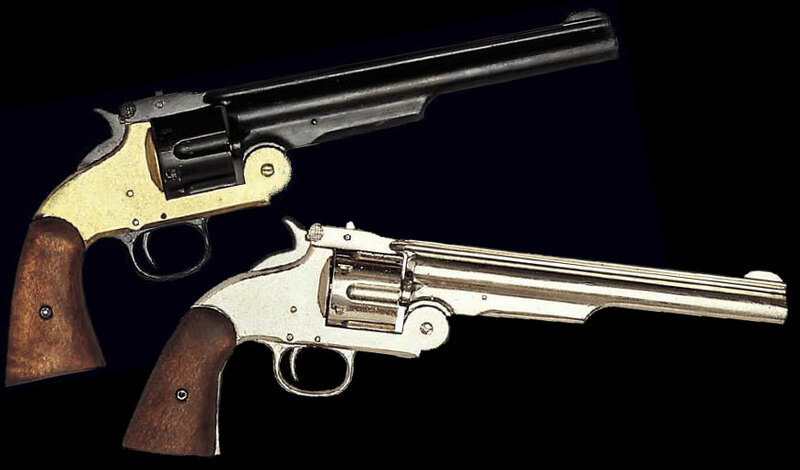 A favorite revolver of the U.S. Cavalry and Wells Fargo agents in the Old West. Features include an 8 inch barrel, top latch for quick loading, real wood grips & deluxe finish. Your choice of brass / blued or nickel finish. Frank James carried the nickel version. Length: 13", Weight: 2.9 lbs.